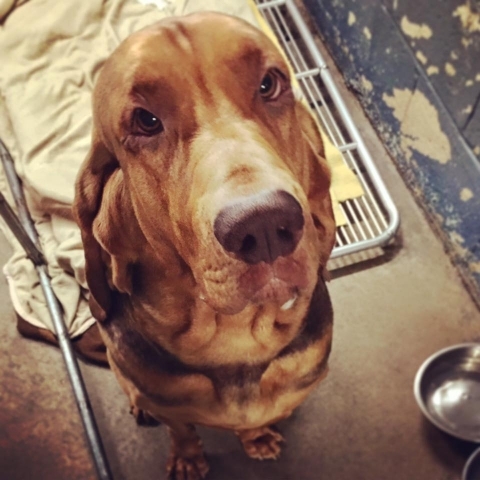 Looking for a fur-ever friend?! Check out the animals available for adoption at Lexington today! Check out this gallery also for adoption success stories! Previous NextLargo Gets the Job! Congrats to Largo, who was hired by the Cape May Sheriffs Department today! We'll miss you, but we know you'll do great things!! Here we have three orphaned kitties who are up for adoption! All females around 10 weeks old, tested and vaccinated. Call Lexington today if you or someone you know is interested! Meet Samson! He is a loveable orange tabby who loves to rub against you at breakfast time. Samson is available for adoption through Lexington Animal Hospital today! Give us a call! You gotta be kitten me!! This litter is too cute AND up for adoption! 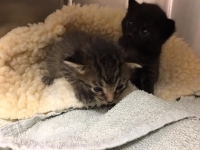 These two beautiful kittens are up for adoption in a few weeks! Norton is a handsome male tabby. Trixie is a beautiful black female! © 2019 Lexington Animal Hospital. All Rights Reserved.